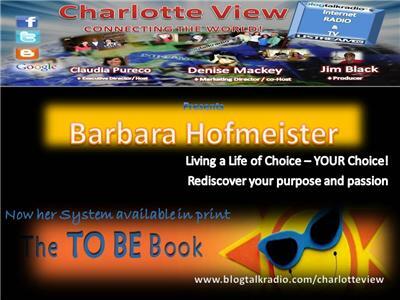 Charlotte View presents Barbara Hofmeister,International Speaker, Published Author and Founder of the ‘TO BE’ Success System. 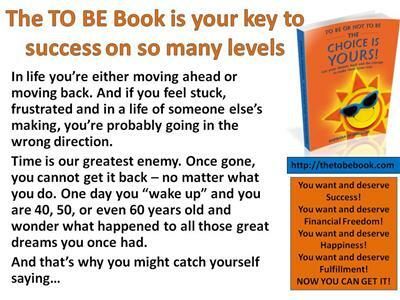 Author of the Amazon Bestseller“To be or not to be – the choice is YOURS!”. 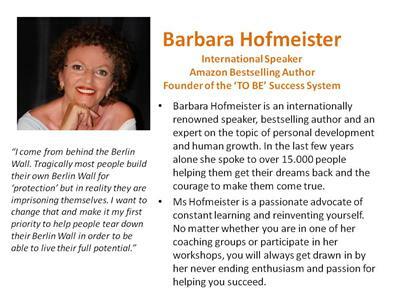 Author of “TO BE – Inspired! 1001 Inspirational Quotes”. 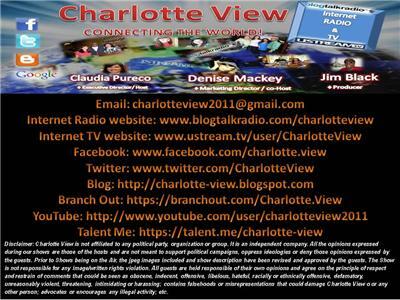 Author of “Moments TO BE” Short inspirational and practical messages for a better life. 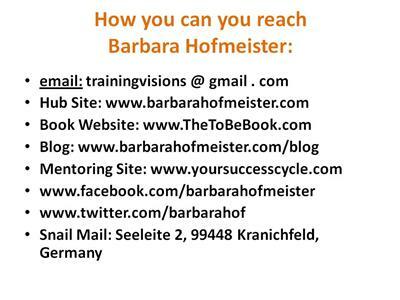 Author of “The Success Cycle” Manual and weekly mentoring program. Author of “Overcome Your Midlife Crisis” e-book and weekly coaching program. Personal Growth System with follow up Coaching Public Speaking Workshops with emphasize on confidence building and becoming crystal clear on your purpose. To be or not to be - the choice is YOURS!" - A practical step by step blueprint to take you from where you are to where you want to go with your life.